If you’re looking for a new challenge that will keep you entertained in the same time, we have the perfect game for you. Hover Power is an amazing ios game that was recently developed and released on the App Store. Its design is inspired by 80’s albums and it is on an isometric grid and it also contains very engaging electronic ambient sounds. 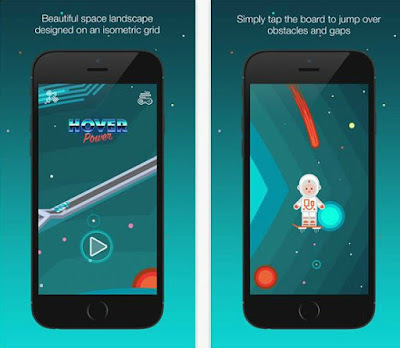 Hover Power is simple to play, but has very authentic gameplay. It is set in the future, in an unknown year, where the hoverboards are part of your reality. Choose from 6 various board designs and start to play. Just tap on the board in order to jump over gaps, radioactive trees and structural remains and while doing that, try to collect as many space coins as you can. The coins are valuable for your survival and for getting more points (for example, the blue ones gives you 3x more). Play and get challenged by the increasing difficulty of the gameplay. As farther you go, as harder it gets. Enjoy this endless challenging and fun game by downloading it for $0.99. You can find it on the App Store.